A long time ago in a galaxy far, far away... there was a necklace perfect for the Star Wars fan! 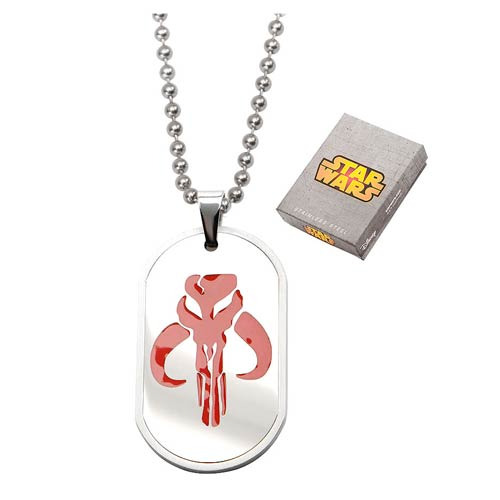 The Star Wars Mandalorian Symbol Dog Tag Pendant Necklace features the iconic symbol of the Mandalorian from Star Wars on a fashionable necklace. Start your own galactic adventure today! Pendant measures about 2-Inches.